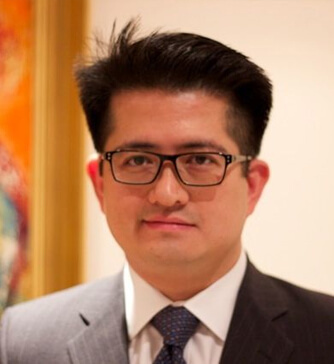 Mr Alex Chung is an experienced Consultant General Laparoscopic and Colorectal surgeon working in the NHS at St George's Hospital, a large university teaching hospital in London and is an honorary Professor of Colorectal Surgery at Hebei University in China. He graduated from University College London in 1999 with honours and went onto train in the South West Thames Deanery region and is fully trained in complex open and laparoscopic procedures. Research for his MD from the University of London was based at St mark’s Hospital and at the Royal National Orthopaedic Hospital, focused on gut function in spinal cord injury. He completed a Fellowship at Guy’s and Thomas’ Hospital concentrating on complex inflammatory bowel disease and advanced cancer surgery. His main interests are in elective and emergency general and particularly laparoscopic general surgery with particular interests in benign and malignant colorectal disease; colorectal cancer, inflammatory bowel disease, intestinal failure, perianal disease and complex hernia surgery. He is lead for intestinal failure at St George’s NHS Foundation Trust. he is skilled in endoscopy (colonoscopy & UGI endoscopy) and screening. Mr Chung has trained and is now a consultant at St George’s NHS Foundation University Hospital. His is principal investigator in his unit on several European scientific surgical trials. He is a convener and tutor of skills courses for the Royal College of Surgeons of England and lectures in all aspects of general surgery. Mr Chung is a keen educator and respected lecturer in surgery and is interested in providing educational seminars and discussion groups for all aspects for surgical care.